Every dog has his day or month and that month is here! January is Unchain a Dog Month. There is nothing a dog likes better than being free. These beautiful creatures thrive on the love and companionship of their human friends. Being tethered for long hours is detrimental to their physical and psychological health. Unfortunately, many dogs across the globe live in chains, in backyards, in cramped spaces, sometimes battling extreme cold or heat. Unchain A Dog Month was created to spread awareness about these conditions. So, encourage people to bring the dogs in this winter. A home is where they belong. Tethering dogs for more than 3 hours within a 12-hour period become illegal in New York. In Virginia, this was a death that shook the nation and forced animal activists to demand stricter anti-tethering laws that result in safety for both humans and dogs. It’s the law! 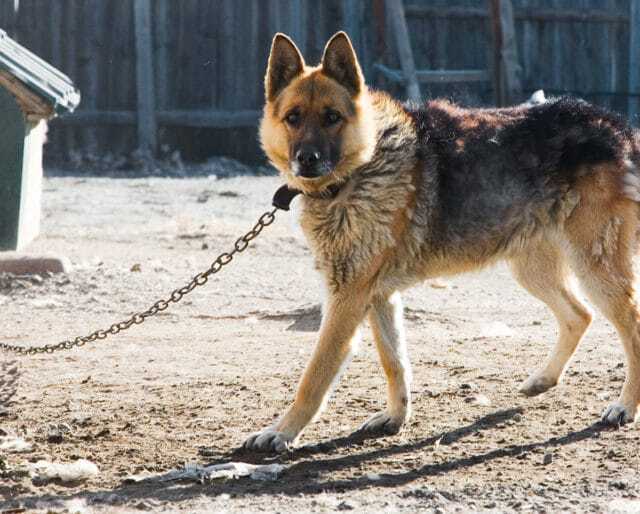 People and organizations regulated by the Animal Welfare Act cannot keep dogs continuously chained. USDA issues a statement calling "continuous confinement of dogs by a tether" inhumane. Be the change. Rescue a dog that is forced to spend its days chained, confined or is unwanted. Offer to watch a friend’s dog. Get him home on a cold day, or weather permitting, take him to the dog park to play with his canine friends. Your reward? A furry friend for life! Dog treats, party favors and some great music to bark along. May we suggest -- "Who let the dogs out". We come into this world alive, kicking and free. So why chain anybody! Unchain A Dog Month gives thousands of neglected and chained dogs a chance to a better life by creating awareness. The first hunters had dogs by their side. Since then the canine-human friendship has come a long way. Dogs have proved to be loyal and loving. Excessive tethering is cruel and makes dogs aggressive resulting in unpleasant incidents. Dogs bring out the best in us. We learn to love, care and share, qualities that make us essentially human. When we reach out to a dog in need we do our bit in making the world better for all creatures that live in it.